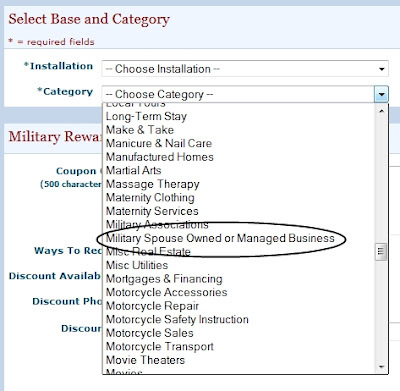 Military Spouses and Military Veterans have a lot to offer. We want to help you get the word out about your business to the military-families that live around you! You have something to offer your military community! Introducing a directory of Veteran & Military Spouse owned or operated businesses at MilitaryAvenue.com. 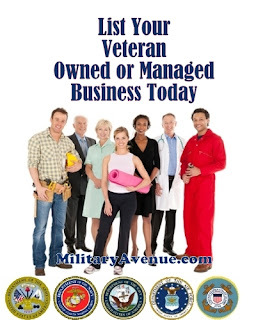 If you are a Veteran or a Military Spouse create your ad today - a basic listing is free, you can't beat that cost of advertising. You will be included on our site, in our monthly Military Alerts and we will let our Social Media entourage know all about you! If you are not located near an installation (within 100 miles) let us know. We have started centering on counties as well in order to serve the Veterans and Families that settled away from a base or post. Send an email to leanne@militaryavenue.com. 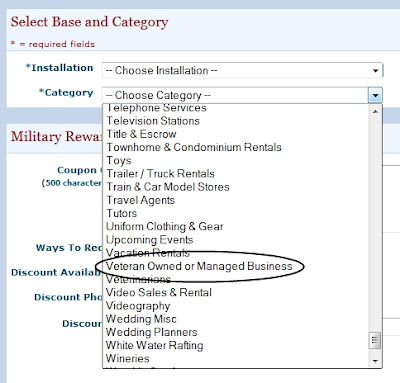 Include the county and state you are located in and we'll set it up and email you back when you can create your ad.